SINGAPORE'S Budget, as it celebrates 50 years of independence, was firmly focused on preparing the nation for a challenging future while addressing the present needs of the middle class and the poor. As widely expected, the "sandwiched class" - caught between taking care of their children and supporting their aged parents - received a big helping hand with childcare, school and training expenses, enhanced Central Provident Fund (CPF) savings and support for elderly parents. Middle-class parentshailed the expansion of a childcare subsidy scheme and the waiver of national exam fees. Similarly, seniors aged 55 and above cheered the cash fillip of up to $600 in the form of an enhanced GST Voucher to help them with daily expenses. What is more, Deputy Prime Minister and Finance Minister Tharman Shanmugaratnam, in declaring that "we have to keep the tax burden on the middle income low, so that they get to keep what they earn, as much as possible", announced a 50 per cent tax rebate capped at $1,000 to benefit 1.5 million taxpayers - while slapping a surprise two percentage point hike on the rich in the top-tier tax bracket from 2017. As for the nation's next phase of development, Mr Tharman outlined major steps in four areas: building a pool of highly skilled workers, helping businesses innovate and expand abroad, investments in economic and social infrastructure, and strengthening the social security network for retirement. Total government expenditure in the jubilee year is estimated to be $68.2 billion, the largest ever and an increase of almost 20 per cent from financial year 2014's $57.2 billion spending. While spending on defence and education remains a top priority, transport spending will rise by $4.8 billion, mainly due to a fifth terminal for Changi Airport and new MRT lines. Health-care spending will rise by $2 billion to cater to new facilities and subsidies for MediShield Life. The Budget will see a bumper deficit of $6.7 billion mainly due to $6 billion set aside for investments in Changi Airport, research and productivity, but which Mr Tharman said will be funded from previous years' surpluses. To ensure a new generation of craftsmen in a range of sectors, the Government will set aside $1 billion a year on average from now until 2020 on SkillsFuture programmes to encourage lifelong education and training. This includes a SkillsFuture Credit scheme for each adult citizen aged 25 and above, a step mooted by NTUC which welcomed the move. "We must become a meritocracy of skills, not a hierarchy of grades earned early in life - a society where people keep learning and pushing their potential, and are valued for their contributions at each stage of life," said Mr Tharman. Small and medium-sized enterprises will get greater support and funding to try out new ideas and venture abroad. And older workers aged 50 to 65 will gain from enhanced CPF contribution rates. As for the bottom 20 per cent to 30 per cent of low-wage Singaporeans, those aged 65 and above will get extra help under the new Silver Support Scheme, which will give them handouts ranging from $300 to $750 every three months for life, starting from next year. Associate Professor Tan Khee Giap of the Lee Kuan Yew School of Public Policy said the Budget sent a clear message that healthy growth is essential to generate enough surpluses that can be redistributed for an inclusive society. Added Speaker of Parliament Halimah Yacob: "In today's context where many countries are tightening their belts with austerity measures... we are fortunate that our Government through prudent management can increase our social spending instead." Parliament will debate the Budget from March 3 to 13, during which various ministries will give details of their plans for the year. 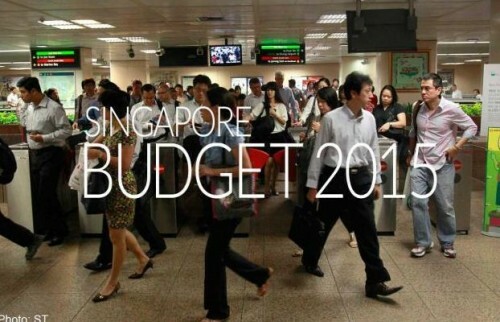 Our Jubilee Budget focuses on the future: building Singapore and helping Singaporeans prepare for changes to come. We want Singaporeans to have greater assurance at each stage of life, more opportunities and a better home for all. We will invest continuously in every citizen, and empower you to learn throughout your life, so that you can become expert in your chosen field of work. We will invest heavily in infrastructure to create a highly liveable home with quality health care. We will provide additional support to Singaporean families for your costs of living and your retirement. Government spending will increase, so we are also making sure that we have enough revenues. One thing we will do is to raise personal income taxes for the top 5 per cent of income earners.